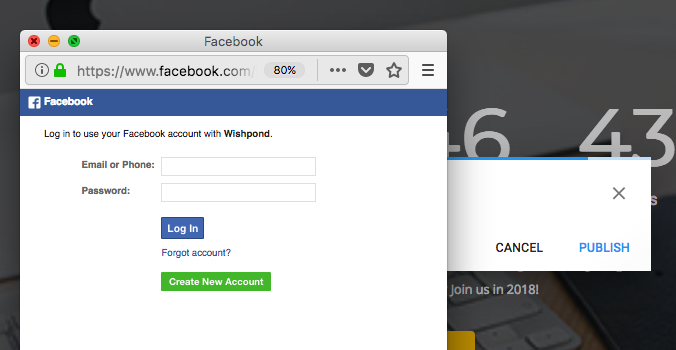 Initially your landing page will automatically be published to a Wishpond Subdomain. Follow the link to view your live landing page, it's now up and running on a webpage. Don't worry you can also 'Edit Publishing Options' and select from our other publishing options. To publish to your custom domain it will require setting up a CNAME record in the DNS settings of your hosting provider. To do this follow these steps. Log in to your hosting control panel and look for a 'DNS Settings' section for your domain. Add a new CNAME record, if it asks for a 'host' add a subdomain. This will be what is typed before your domain, for example 'try.domain.com' where 'try' is the subdomain. It may take a few minutes to a few hours, once there is a green checkmark next to its name it will be completed. 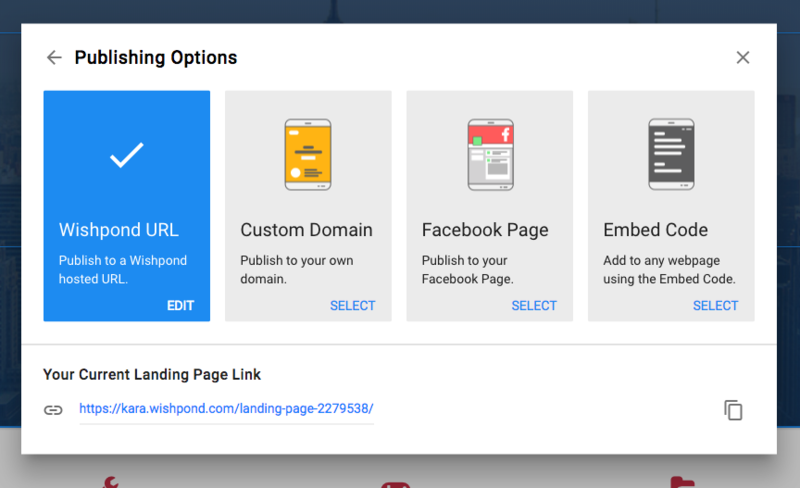 Once this is set up click on 'Custom Domain' from the publishing options and you can enter your domain with the path for your landing page. To publish to your Facebook page click 'Facebook page' from the options and you will be asked to 'Connect To Facebook'. You're page will now be published at the provided campaign link, on desktop it will automatically be published in a tab on your Facebook page. Just make sure to promote this shortened campaign link as it will be the mobile accessible link for your campaign. To add the page to any of your webpages click on the Embed Code publishing option. Copy and paste the provided code anywhere on your webpage that you'd like the landing page to appear. That's it! 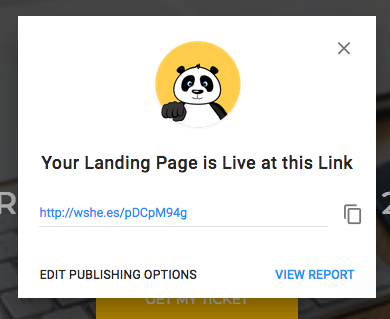 Once you've published your page you can still make changes in the editor, as long as they are save they will then automatically be made to your live landing page. 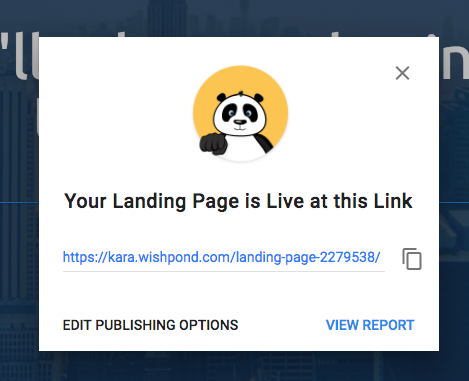 Keep in mind you can make any changes to your landing page once it has been published, and you can change the publishing method at any time. 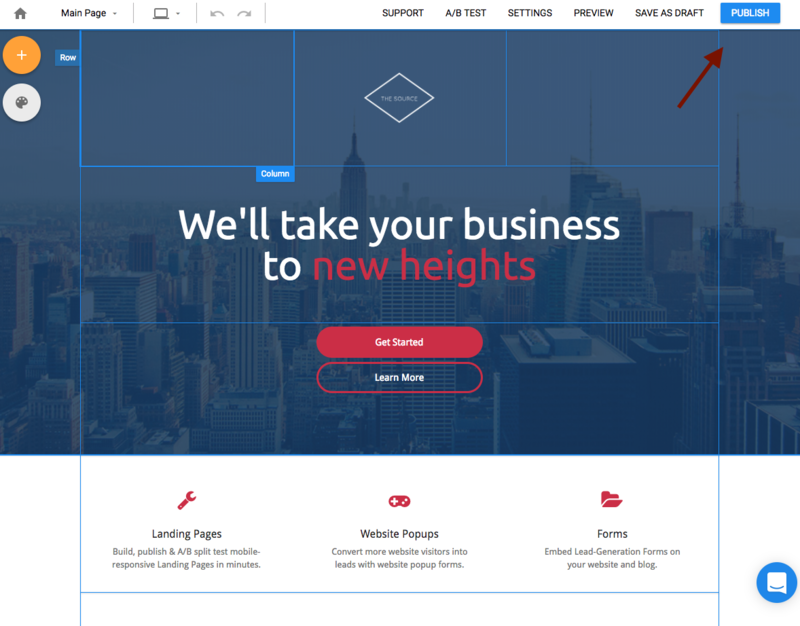 Now that your landing page is up and running start promoting it to capture leads.